Firstly, thank you for all your sweet words and birthday wishes on my instagram.! They really made me super duper happy that I am having a hard time putting it into words! I took all of these pictures on my Nikon DSLR Camera. I will get back to you on exactly what model the body is and the lens I used. I was really happy with the set up (the vision was completely mine and no one helped me with it)! Thank you daddy for helping me move all the things and set this up with me early Sunday morning. As well to my fabulous neighbour who allowed me to borrow his tree that morning! The only thing you dolls will not be able to get your hands on from these pictures is the vintage re-painted vanity I got from L'Atelier Home! What can I say, I was a lucky duck! I will have a post coming up on the vintage vanity itself very soon and how to care for painted furniture! You do not want to ruin a fabulous one of a kind piece like this by some careless mistake. Now that would be devastating. My cake was made by the head pastry chef at Liberty, my gorgeous friend Georgine!!!! 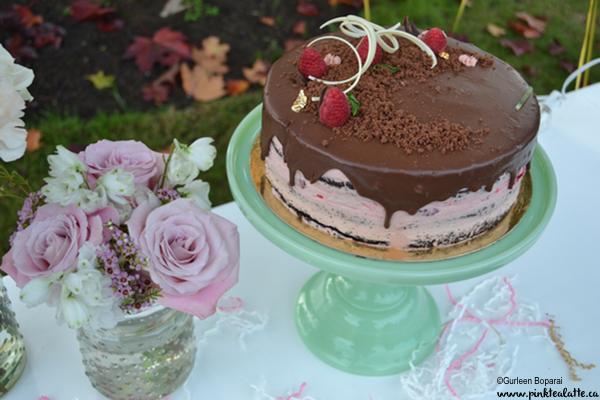 It was a chocolate sponge layered with fresh raspberry buttercream (there were whole raspberries in there yummy), mint infused ganache and decorated with gold leaf EEEEKKKKK I feel so special like a princess. The two beautiful flower arrangements were from Balconi Florals. I wanted to be a little different and have one arrangement be all white and the second arrangement be the gorgeous pinky lilac colour I am obsessed with. I thought it would be a great juxtaposition versus having both arrangements be the same mixture of colours and flowers. Because I love roses, hence why I got mostly roses haha. 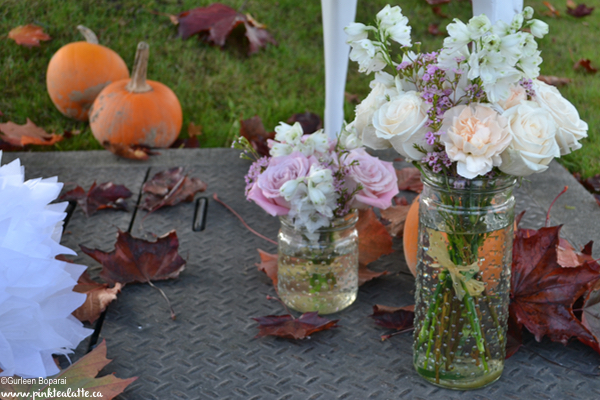 I will have a post coming up on how to care for your fresh cut flowers so they last as long as possible! I love fresh flowers so it always makes me sad when they start to wilt :( The clear hobnob jar vases are from Balconi Florals as well. They did the arrangements in the vases for me. 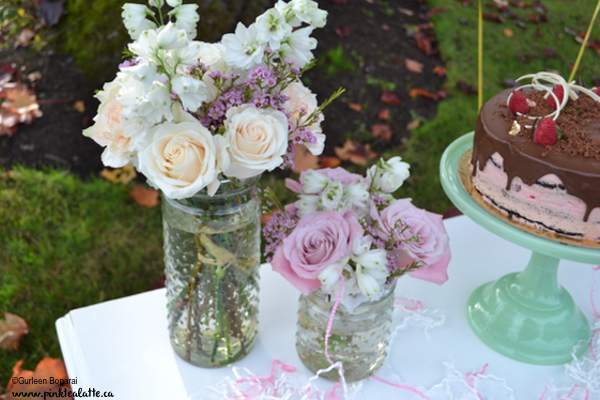 The soft green milk glass cake stand I got from Cross Designs. 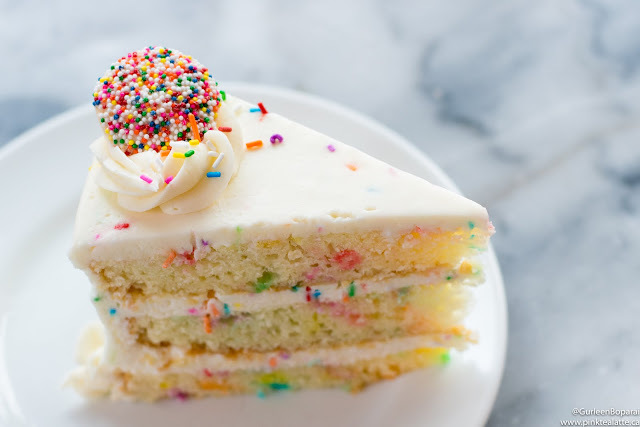 the diameter is 10inches for my 8inch cake. I explain why in my earlier post. 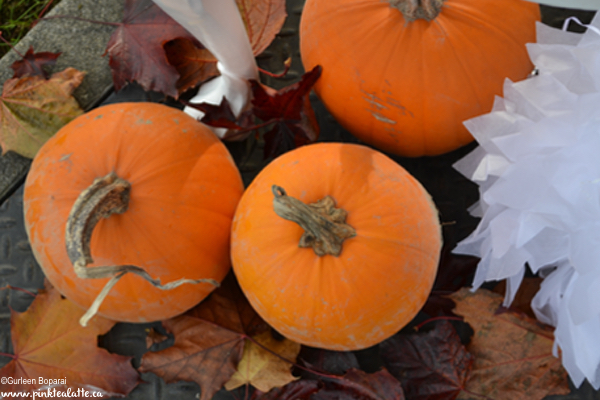 All my cute pumpkins are from my adventures at the Richmond Country Farms Pumpkin Patch. 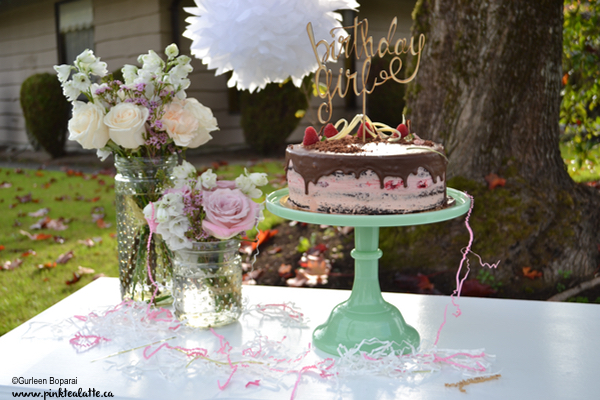 The Birch Wood Cake Topper that says "Birthday Girl" is from PaperFelt. They really mean it when they say this cake topper is delicate because it broke when I was pulling it out of the packaging :( another bummer to add to my bumbum filled things leading up to my birthday dinner. 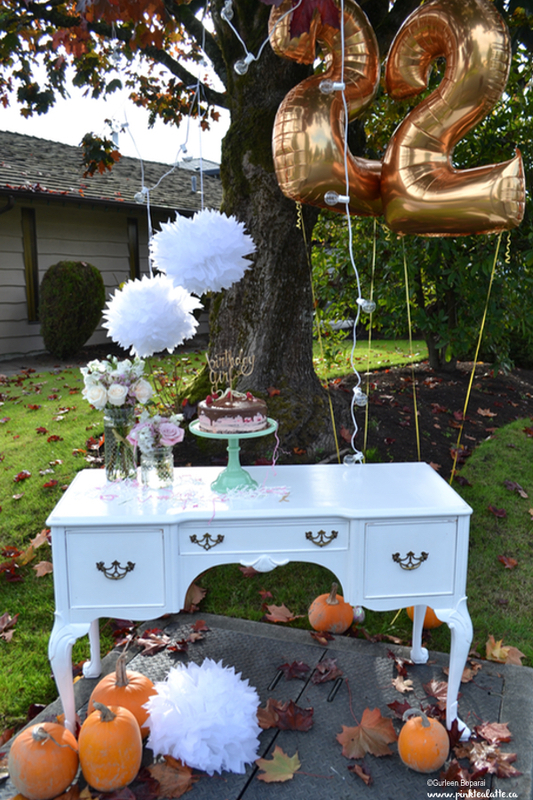 The confetti I used on the table was actually the packaging for the cake topper --> Savvy Student! 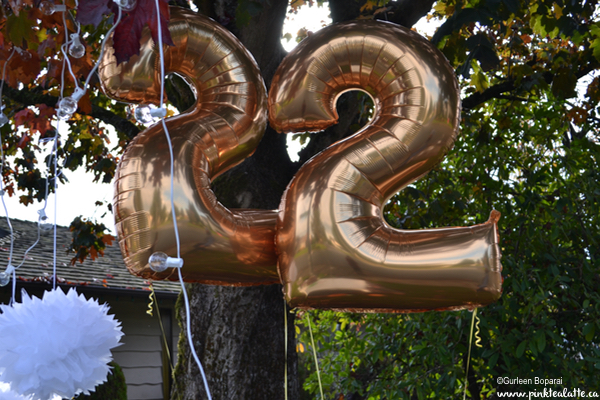 The giant 40inch coppery gold 2 balloons are from Confetti and Sparkle! These balloons were huge!!!! Gosh they were like the size of me! Made them even more awesome! Because they are Mylar balloons, you can have them filled a day or two beforehand and they can last for almost 3 weeks! 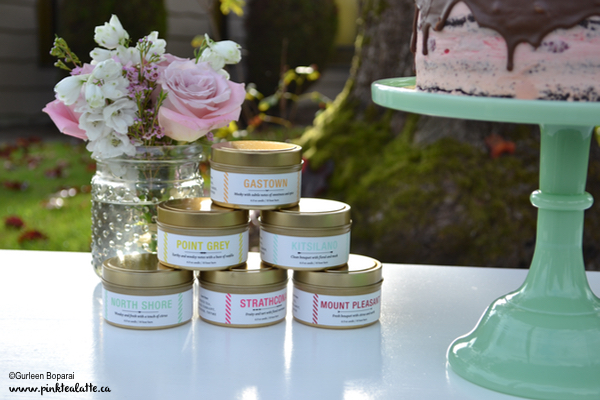 The tin candles are from my favourite candle company, Vancouver Candle Co. I got all of the scents, but Fairview which they were sold out of, major boo! Fairview is my favourite, but I am sure they will have them in stock soon! The Fluffy White Pouff decorations are from the dollar store. I really love them and still have all three. I want to put them up in my room; however, they will collect far too much dust. 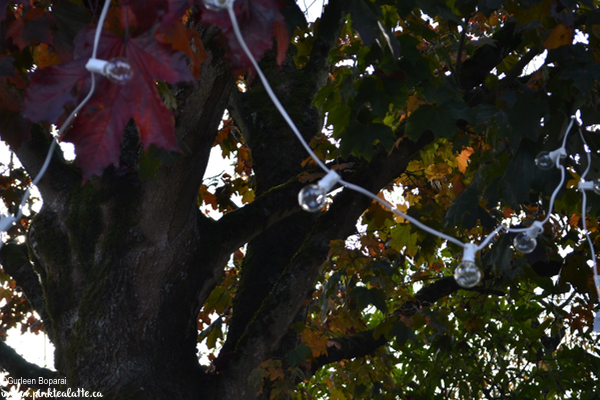 Lastly, the globe string lights are from Urban Outfitters. My daddy hung them far too high in the tree so they did not get caught in the pictures... derp. 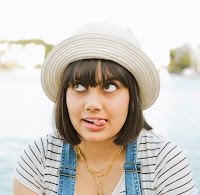 Let me know if you love my pictures! I have been working really hard on my photography. Also a note - I used completely natural sunlight for these pictures and did NOT edit these pictures (aside for resizing and writing my name on them). I know some people are into editing their pictures, but I want to capture the moment and let it show through as it is in my pictures.